Let’s start by defining pavers and slabs. A concrete paver is defined as having a maximum aspect ratio of 4:1, and a minimum thickness of 2 3/8’’ (60mm). Concrete pavers are generally able to be lifted with one hand. Concrete slabs, on the other hand, will have an aspect ratio greater than 4:1 and a minimum thickness of 2’’ (50mm). Slabs are generally larger than 12’’x12’’ (250mm x 250mm) and usually need to be lifted with two hands. Concrete pavers and slabs aren’t interchangeable. Slabs are never recommended for vehicular traffic as they cannot properly distribute the load and may crack. Techo-Bloc only recommends using concrete slabs for pedestrian applications. Interlocking concrete pavers on the other hand can be used for either pedestrian or vehicular applications. If the pavement is going to be utilized for commercial traffic such as a parking lot or roadway would be, the thickness of the paver may need to be increased to meet a 3:1 or even 2:1 aspect ratio. 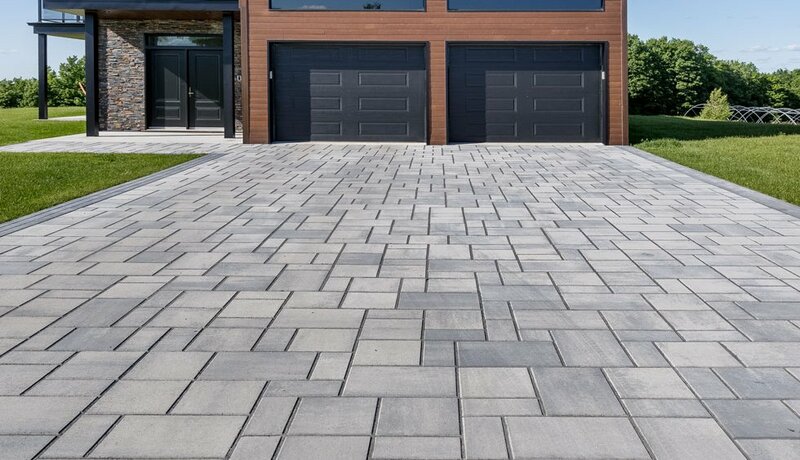 When designing a paver size to work aesthetically with the architecture in your home or property, the scale of the product then comes into play. Scale refers to the size of an object (a whole) in relationship to another object (another whole). In art, the size relationship between an object and the human body is significant. Most of the time, the scale of a paver selection will have a lot to do with an individual’s taste. Let’s explore a few scenarios. When constructing a walkway, you have to look at the width of the path versus the sizing of the paver units. On a 3-foot-wide walkway the scale of the paver or slab becomes very important. A simple soldier course of 6x9 Parisien pavers on this narrow walkway will take up half of the field on the project. It would make more sense to either use a 6x6 Parisian border or make the walkway wider overall. 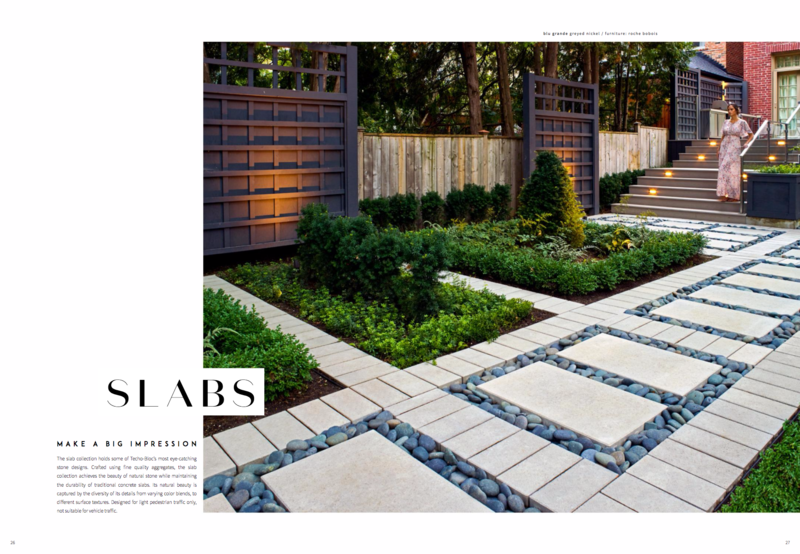 Generally speaking, the border shouldn’t be more than 1/3 of the total width of the walkway. The other option would be to use a medium size unit, such as Techo-Bloc’s Blu 60mm collection, and omit a border all together. Another project to think about would be a simple 10’ by 20’ backyard patio. Smaller dimensional modular systems such as Techo-Bloc’s Eva or Mista would work much better with this size project. Multi piece random laid systems create appeal especially in smaller areas. By trying to squeeze in large Aberdeen slabs on this scale of project the pavement could end up looking cramped. 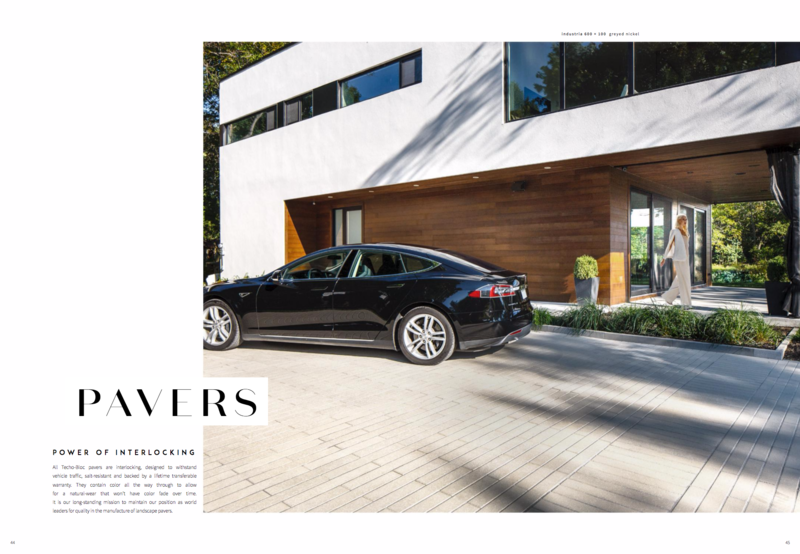 Driveways can oftentimes be difficult to select the right scale product on. They are generally large areas that would look great with a larger sized product, but the thickness must work in accordance with vehicular traffic. Techo-Bloc has created the ultimate solution to this issue. Our Blu 80mm product comes in many different colors and textures and offers an aspect ratio specifically designed to work on a driveway. 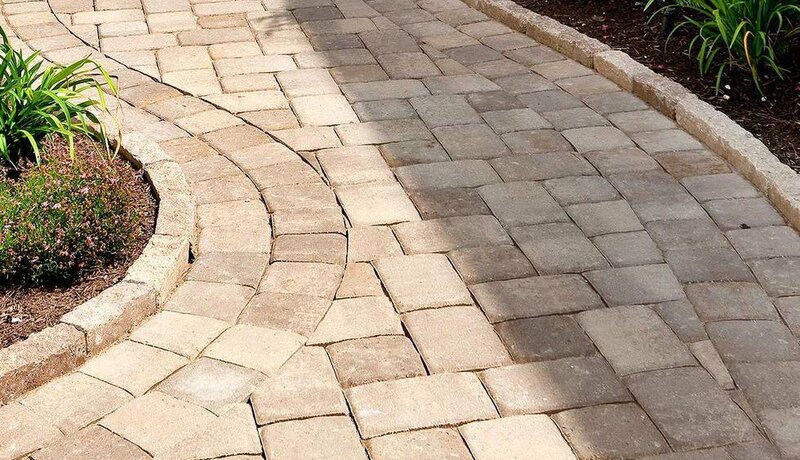 You get the look of a natural stone with the security of a paver’s thickness. When designing your next concrete paver or slab project please keep in mind the relationship from the scale of the product to the project size. Using scale to your advantage will make the project seamlessly blend into the environment as well as the character of the residence.